3344 Ocean Drive Oxnard, CA. | MLS# 218005090 | Oxnard beach, and marina homes for sale from a beachfront specialists! Ocean Front, beach and marina homes for sale in Oxnard. Real Estate for Sale in Oxnard. Oxnard Realtor. Hollywood Beach Stunning Home, across the street from the sand. Ocean views from glass enclosed 300 sq ft deck. Completely redesigned/remodel down to the studs in 2009. Main level has a expansive covered viewing deck. Family room with natural open beam wood ceilings, marble fireplace and newer carpet. Gourmet kitchen is open to the family room, complete with top of the line SS appliances, Viking kitchen-aid, 6 burner gas top stove, Corian countertop & custom cabinetry. First level isset up to be a lock out, with bedroom, bathroom, small kitchenette and living area. Baths with granite counters, travertine showers & floors. Spa tub in master bath. Rain glass doors throughout. Noritzinsta-hot water, 2 zone forced heat. 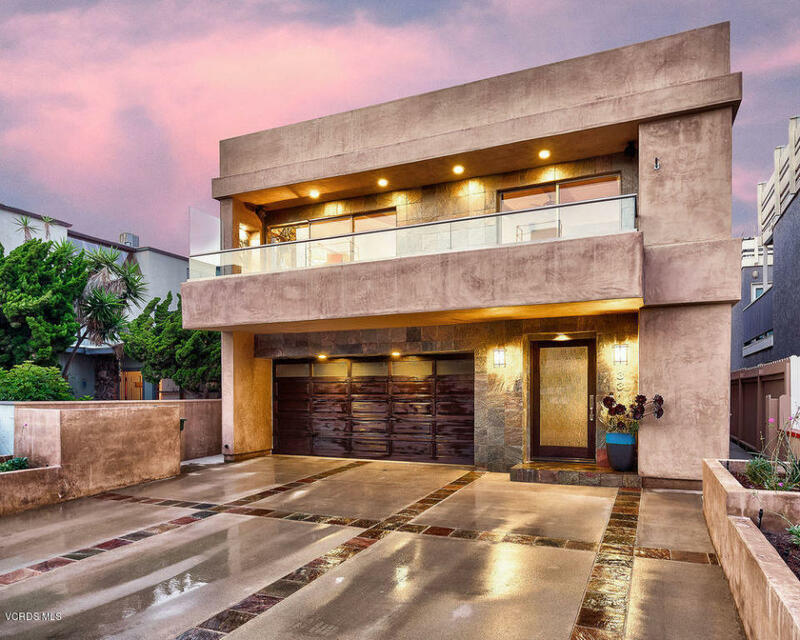 This stunning home has smooth stucco and gorgeous entry. Large backyard too, this is rare at Hollywood beach, great for entertaining, pets or just relaxing and taking in the fresh ocean air. Attached 2 car garage. Steps from the sand or take a strollto the harbor and enjoy Sundays farmers Market, restaurants and sealife.